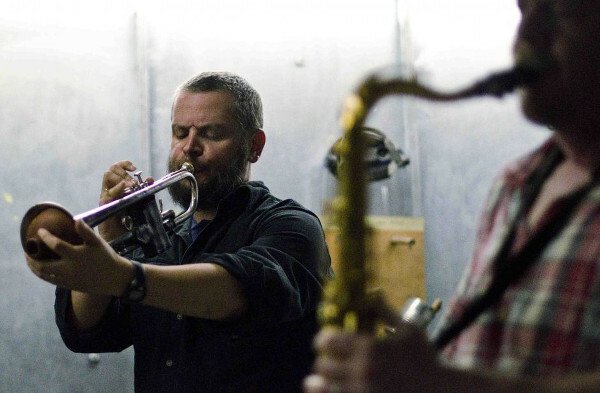 Saturday, April 27 at 8:00 p.m.
Ken Vandermark & Nate Wooley had been operating in each other's orbits for several years, having worked together with Paul Lytton, Joe Morris, Agusti Fernandez, and Terrie Ex, before putting together their duo project in October 2013 when they toured the United States for the first time. With this unique ensemble, they deal directly with each other's iconoclastic compositional and improvisational vocabularies, and have created a book of original material that takes inspirational cues from the under-appreciated work of John Carter and Bobby Bradford. Hallwalls Music Program is made possible through public funds from the New York State Council on the Arts, a state agency & a generous grant from the Cullen Foundation. Thursday, May 9 at 8:00 p.m.
Cellist Tristan Honsinger started improvising in Montreal more than forty years ago, prior to his decisive move to Europe, where he's been at the centre of improvised music activity ever since. So this group represents an oblique sort of homecoming, as well as an introduction to some of this city's finest players today. Their rapport is obvious, the results a satisfying mixture of musical empathy and creative conflict. 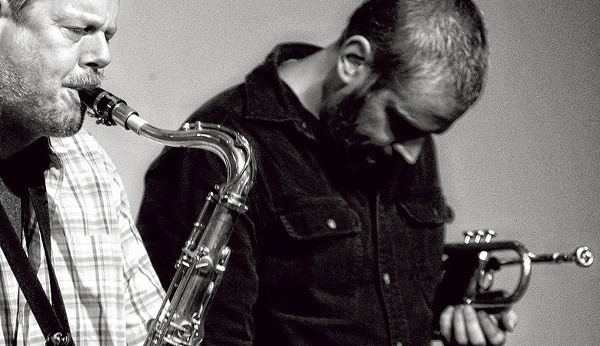 Tristan plays with characteristic daring from his reserves of readymade tune fragments and shards of poetry and into the protean unknown that is the foundation for the best group improvising. Violinist Josh Zubot and bassist Nicolas Caloia don't merely follow him there, but provoke him—and each other—in ways that are, by turns, subtle, assertive, and irreverent. A superb encounter.